Eastbourne based Social Media Marketing & Training consultancy Ditzy Media has a digital marketing solution to suit your business. Based in the heart of Eastbourne Town Centre is Ditzy Media Ltd. Specialising in Social Media Marketing and Training, Ditzy Media has established a great reputation in the town and in the greater Sussex area for supporting local businesses, charities and other organisations with their social media needs. Why choose Ditzy Media Ltd? Ditzy Media has been the UK’s top PR & Marketing Agency on The Best Of 3 years running, as well as winning Sussex Digital Woman of the Year 2017, and other Business awards including Highly Commended in Eastbourne Business Awards 2015 as Best Start-Up. 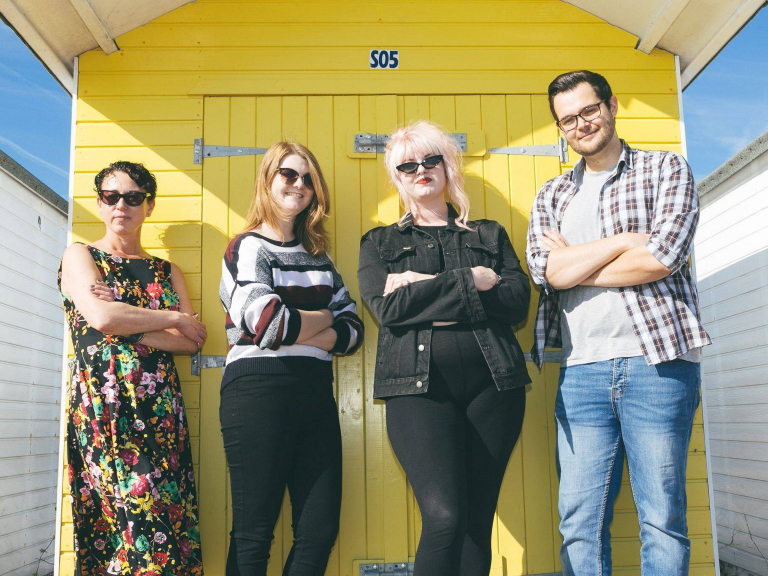 Social Media is a powerful force for the good, and the team at Ditzy Media are passionate about Community engagement – responsible for hosting the Chat Hour for Eastbourne on Twitter - #EBHour every Thursday evening. Everyone knows how to use social media – right? But when it comes to using it for business you may well require training to ensure you get the best results for your efforts. Ditzy Media helps businesses understand the business tools available on the platforms, technical aspects, for example, the platform algorithms and how to produce great quality, engaging content. Ditzy Media’s training is often commissioned through external organisations which can mean local businesses and organisations do not pay for training if they qualify for funding. Additionally, Ditzy Media can deliver corporate and group training – as well as sector-specific training your business type. They also work with business owners directly through one to one training sessions. Training covers technical aspects of Social Media Marketing, tools to make the job of planning content for social media easier, and also looks at best practice for Content Marketing. You may be on social media but are struggling to find the time needed to write blogs, upload content to your website, and post to your social media accounts – well this is where Ditzy Media can give your business back the gift of time whilst ensuring your business stands out online. They work closely with their customers creating quality, personalised content to best showcase their business. Outsourcing your social media with Ditzy Media will also include account monitoring and engagement with your customers, and a monthly report to show your progress and growth. For an informal chat about your requirements – give Team Ditzy a call – and find out how Ditzy Media can help you shine online today! Call 01323 458228 or e-mail now.